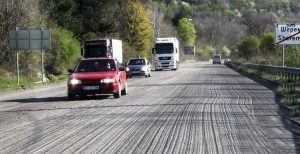 The spring is on and the renovations and reconstructions of the roads after the winter started with full speed in Veliko Tarnovo area. Within one month the failed section of the municipal road between Veliko Tarnovo and Ledenik village will be repaired. Damage on the road is caused by the large amount of groundwater, the experts are categorical. Urgent designing of the necessary building and consolidation activities has been assigned and the funds will be provided by the municipal budget. The construction of the new bridge, part of the municipal road between Veliko Tarnovo and the village of Shemshevo, continues. The construction works will end in the summer. Reconstruction of the road from Sheremetya to Lyaskovets part of the main road Sofia – Varna is also close to its finishing. This route is made for the fourth time in the last 7 years and its last major renovation was in 2016. About 4 million leva were spent, but with a short-term effect. 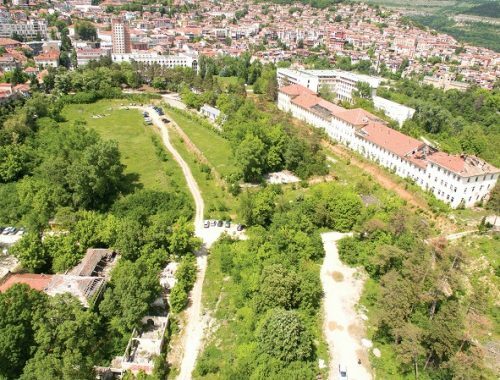 At the same time, the section from Sheremetya to the architectural settlement Arbanasi that is passing by the Kaloyanova fortress will be renovated. 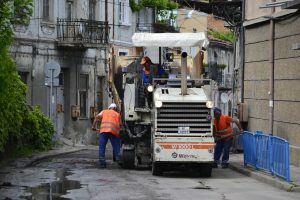 This year begins the repair of another important road in the Veliko Tarnovo area – Kilifarevo – Plakovo, which starts from the central street in the town of Kilifarevo. There is also money for rehabilitation of the big bridge on it, as soon as it is completed in the direction of Shemshevo. Soon the reconstruction of road from Arbanasi to Gorna Oryahovitsa will start. 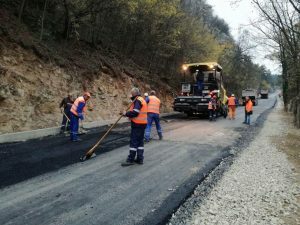 The repair is part of the renovation project for the route between Veliko Tarnovo and Gorna Oryahovitsa through Arbanasi, for which the government provided 2.8 million leva. At the end of September, last year was halfway across the old capital, and due to the worsening weather, the rest was left to spring. Practically the performers will start from the place where they ended – the second branch to Arbanasi. 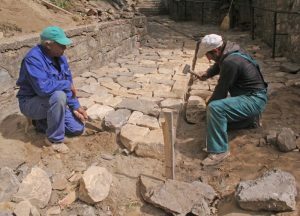 Not only roads in Veliko Tarnovo area are renovated, in the town a lot of streets are under repair too. 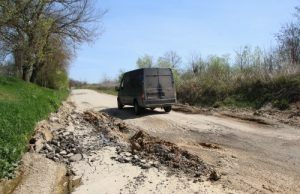 The repairs of the road north of Veliko Tarnovo started last week. The whole Opalchenska str will be repaired, because it was in extremely bad condition and was very unpleasant for the tourists visiting the town. The promise is that this time the repair will be more extensive, not just the “scuffing” known in recent years. The repairs will take place on April 10 – Tuesday. In this connection, the segment will be closed for traffic. Only buses on line N 10, whose route passes through the street, will be passed through. The compromised sections of the pavement will be redefined. The road from the Tsar Asen I Square to the crossroad near the church “St. Forty Martyrs“ is also under construction, and there is a traffic light controlling the traffic. In the beginning of the summer there will be a complete closure due to the construction activities, which will end at the end of the year at the earliest. Due to the repairs on the Chitalishtna str, which is also closed for traffic, two options are for roundabouts in both directions between Veliko Tarnovo and Arbanasi – via the South junction, Sveta Gora and the ring road behind Tsarevets or through the village of Sheremetya. The reconstruction of General Gurko str is also in full swing. 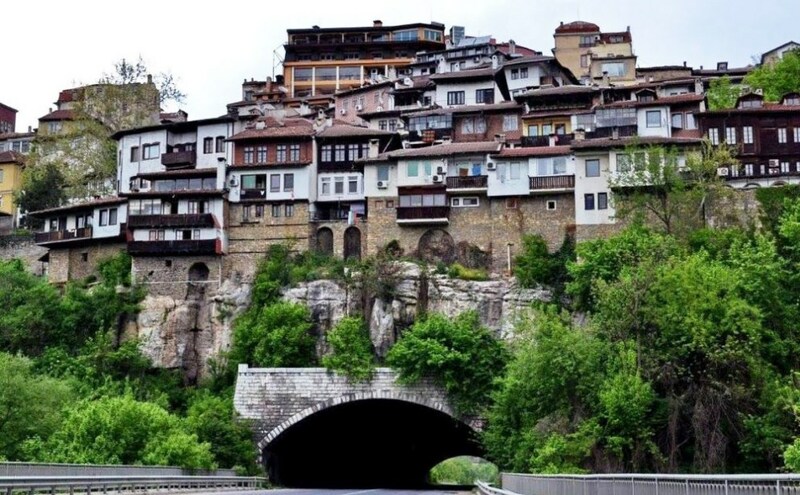 The street was reconstructed in the 70s of the last century with funds from the General Development Committee of Veliko Tarnovo and is the most visited by tourists along with the Samovodska charshya. The street is a sign of the town and of Bulgarian history. There is no other place in Veliko Tarnovo, from where the amazing merging of the natural beauty with the architectural tradition can be revealed. That is why the Town Hall has developed a special project for the restoration of the stretch of 1.4 million leva. It is planned to make over half a kilometre of new flooring. Reconstruction is also planned for the small crossroads of General Gurko – the streets of Kolyo Ficheto, February 10, Spring, Metropolit Panaret Rashev, Alexander Dobrinov, Efrem Pophristov, Dr. Long, Maxim Raykovich, Tunnel, Sheinovo and Silvester Penov. Their pavement will also be rearranged, parking spaces will be constructed, a drainage system and pockets for the containers will be built, and artistic lighting in parallel. The ambitions of the contractors are to complete the main segment by the end of September. Follow our blog for more news about the local roads in Veliko Tarnovo area.